Like many professionals in Alberta these days, I find that work duties leave less time for other pursuits. My position is unique, however, because I am at once a paid professional photographer (my metallography) and a passionate amateur photographer. Microscopes vs Landscapes… well perhaps not. 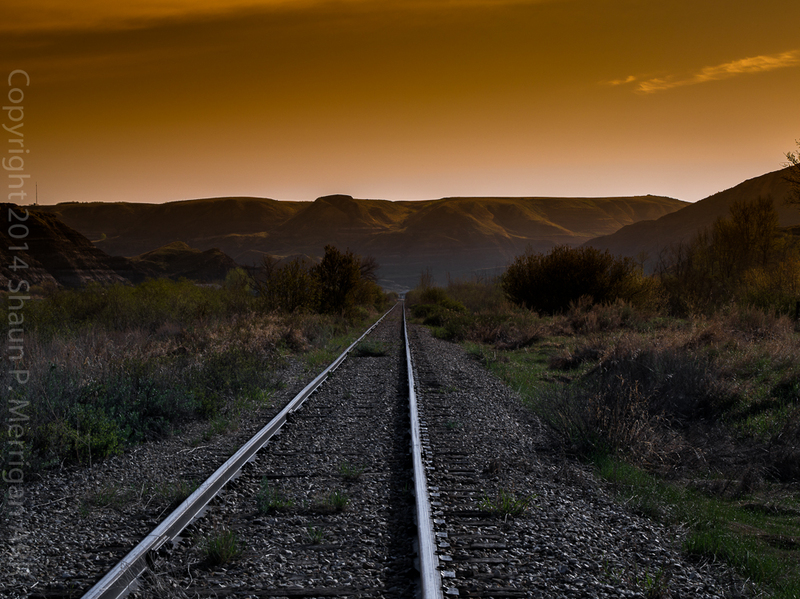 Of course there is the double meaning in: CN Drumheller Sunset on Wayne Alberta, because CN was in the process of pulling the rails on this line (CN Drumheller) when I captured this. A few weeks later these rails, and this image, were gone.